Drift along the Yucatan peninsula with its miles of sandy beaches, gorgeous sparkling blue ocean, snorkel in the largest natural aquarium in the world, or explore the ancient Mayan ruins. A holiday in Riviera Maya is one you will remember forever. Laze on white, tropical beaches, take diving to a new level in the clearest of waters and investigate Mayan Ruins or eco parks. 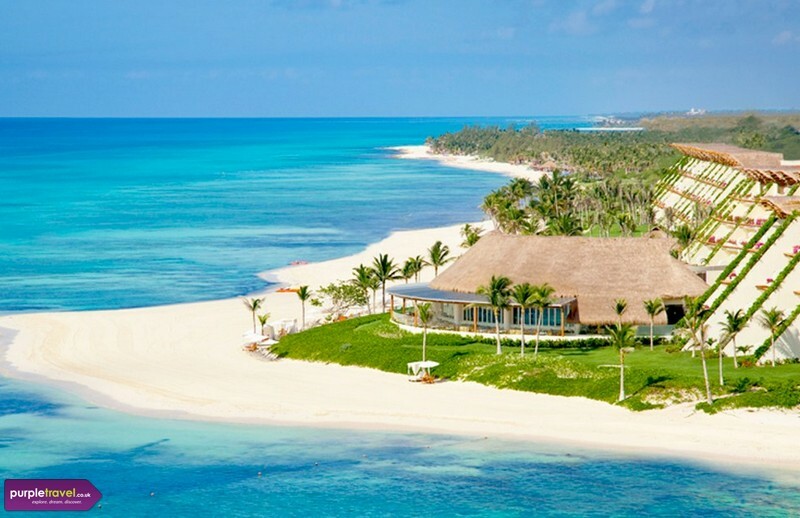 The 30km stretch of Riviera Maya coast has all the ingredients for aspectactular holiday. Book a summer holiday or incredible honeymoon to Riviera Maya in Mexico now with Purple Travel and save on flights, hotels and transfers. good all around resort with lots of activities. Suitable for all ages and couples or families. Good day trips ou, beautiful surrounds. We went all inclusive and there was a good selectionof food and drinks. This is very busy with resorts, but the whole area is lovely. There are great beaches, lots of shopping and good opportunities for day trips. We felt very safe the whole time we were there and the area is lovely. People are friendly and the weather was perfect. Well naturally it was perfect, beaches are beautiful. Heartily recommend it. Gorgeous beaches, perfect white sand and crystal clear water. It was so hot, I did a bit of diving and snorkeling. Loved it.